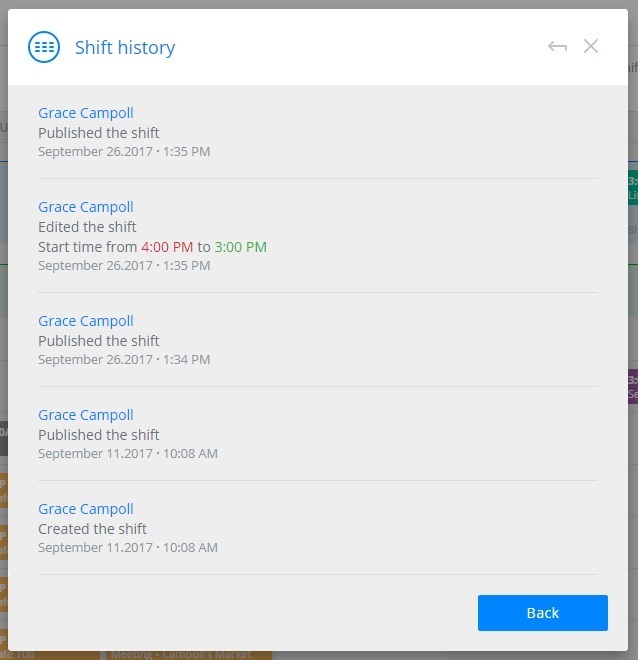 How do I view shift history? When there are multiple managers or admins working on a schedule, there may be times when you're not sure who has made changes. 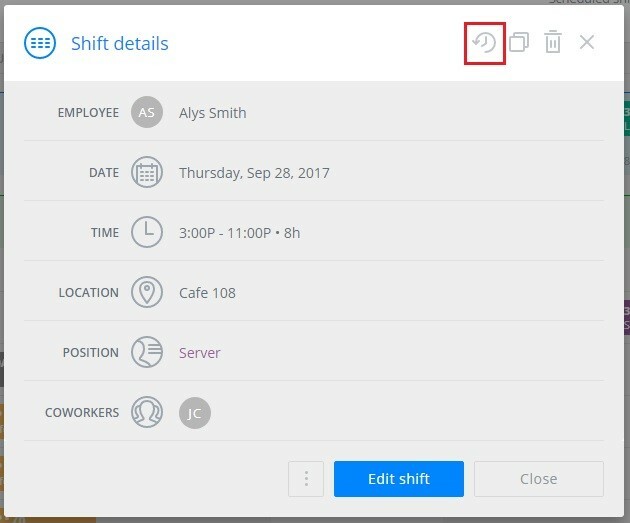 By viewing the shift history, you can easily review this information for shifts and time off - whether pending or approved. Click the shift to open the details, then click the history button at the top right. This will show you all changes made to a shift, the dates and times of the changes, and who made the changes.